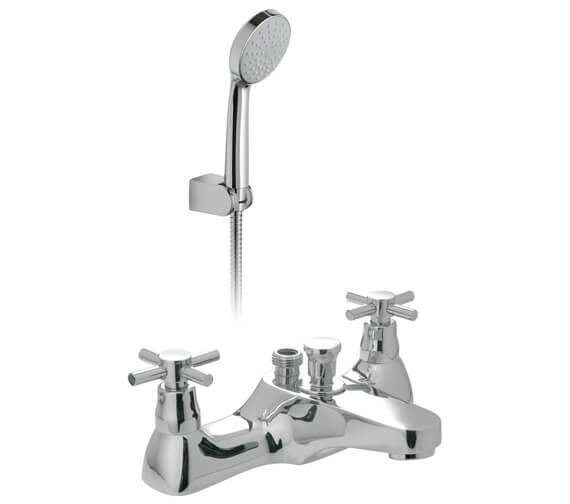 A stylish tap, the Vado Vecta Deck Mounted Bath Shower Mixer with Shower Kit, gives you the double benefit of using it for your bath or shower. 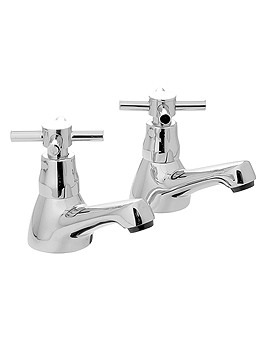 This avant-garde tap is environmentally friendly. 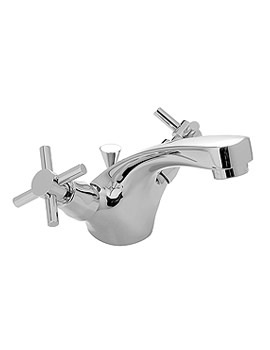 The dual purpose tap is chrome finished to give it a sleek and shiny appearance. 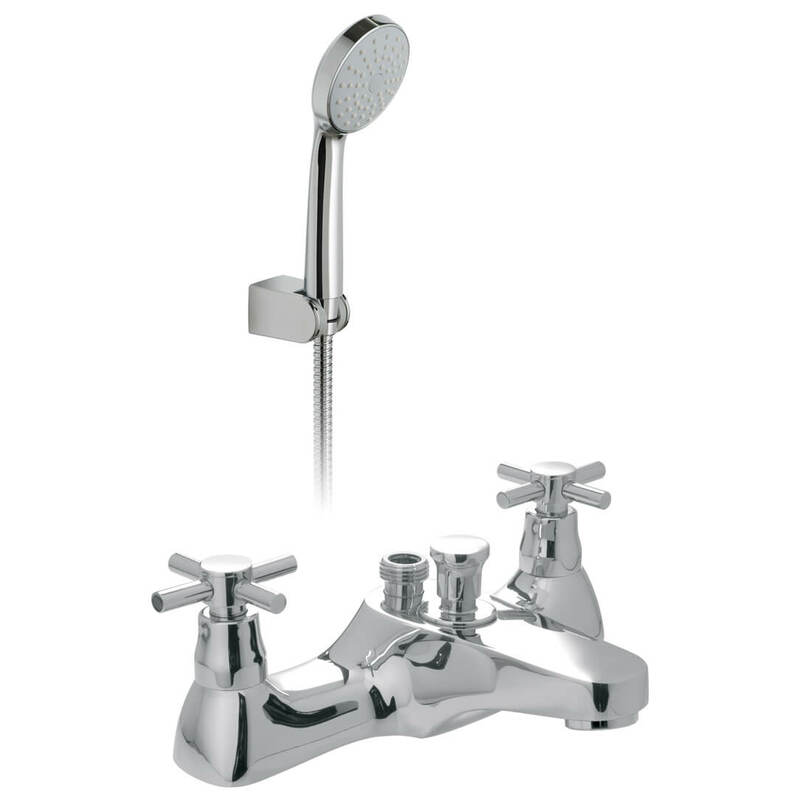 This Bath Shower Mixer with Shower Kit comes with a water flow straightener. Add one more luxury to your private abode and enjoy hours of leisurely bath to wash away the tiredness and make you fresh and rejuvenated. 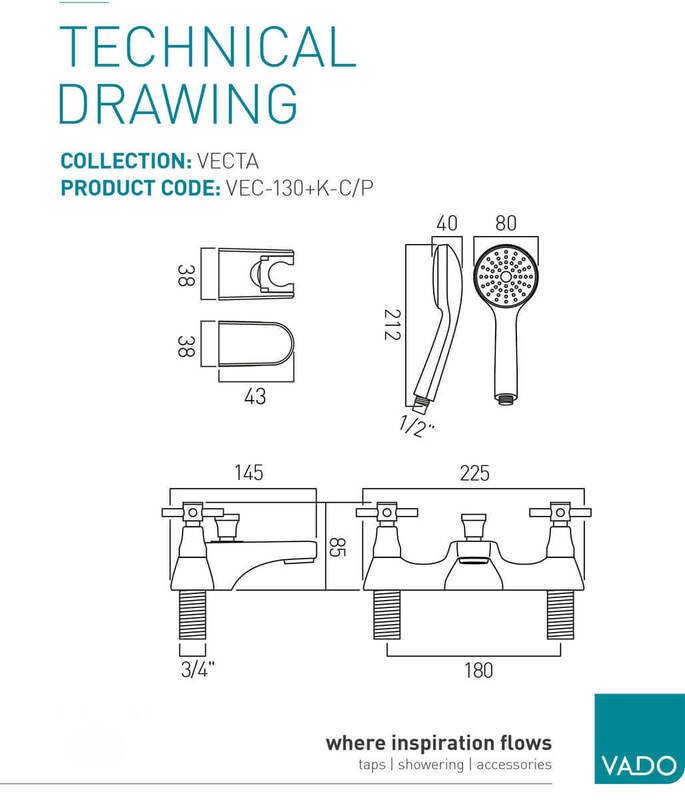 Manufacturing code of this product is VEC-130/CD+K-C/P.